Rarely available, signed copy with your own personal message from Jim. 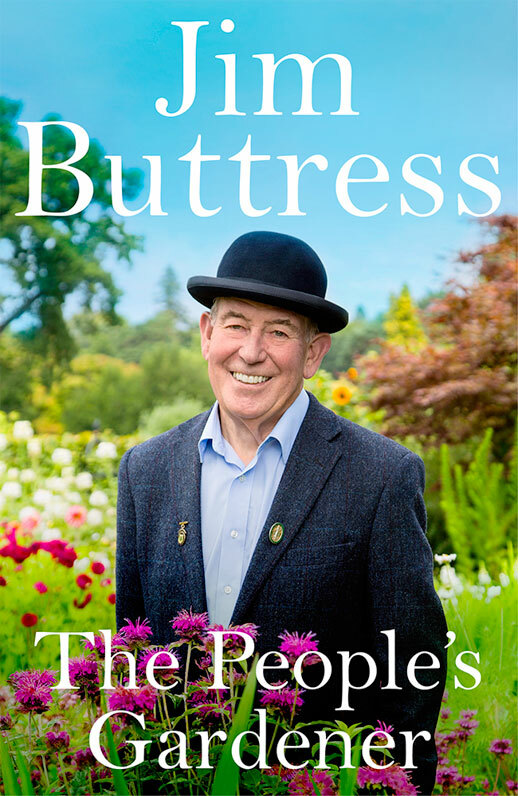 With an introduction by Alan Titchmarsh, The People’s Gardener is an inspiring memoir by top gardening judge Jim Buttress, that will amuse and enthral gardeners everywhere. As a judge at the RHS, Jim Buttress presides over the country’s favourite flower shows, including Chelsea and Hampton Court. He also judged the Britain in Bloom competition for over twenty-five years, and was watched by millions on the BBC’s The Big Allotment Challenge. But how did this practical gardener from Purley go on to have one of the most impressive careers in British horticulture? In this warm and funny memoir, Jim takes us from his boyhood obsession with Percy Thrower to his ten-year stint as Superintendent of the Central Royal Parks. Here, his day-to-day duties could include anything from having a drink and a chat with the Queen Mother to working out how to water some elephants who’d taken up residence in Hyde Park. Jim also reveals what it’s like to exhibit, and to win gold, at the Chelsea Flower Show, and shares his many adventures as a judge; from the joy of awarding medals to grateful winners to the shock of being threatened with a punch on the nose from the odd irate loser. Packed with brilliant characters, this book will delight everyone who shares Jim’s love of gardening. Have Jim write a personal message maximum 140 characters.